Technological advancements like the cloud are not only changing the ways we communicate and store data, they are also evolving how businesses function as a cohesive unit. However, the cloud is rapidly altering our reliance on these things, producing a work environment that is more flexible, efficient, and satisfactory for both employers and employees. 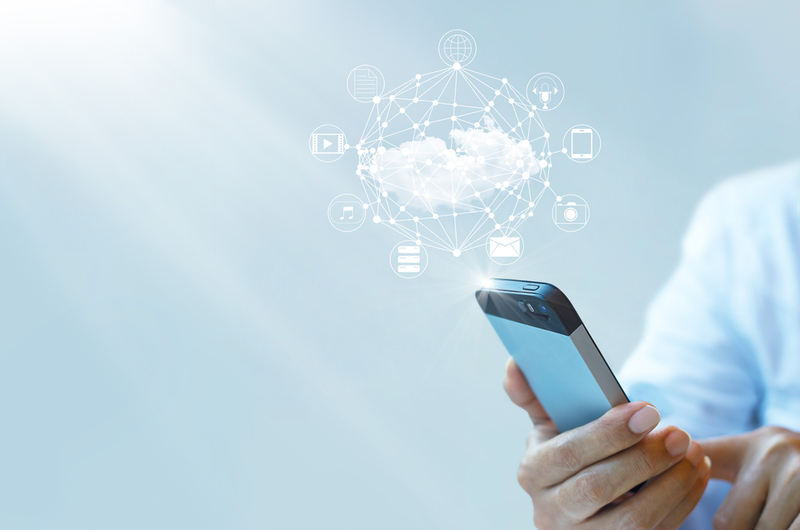 Here are 3 ways cloud solutions can mobilize your business. The average American commuter spends over 200 hours, or roughly 9 days annually commuting to and from their place of employment. Cloud solutions can change the necessity for the workers to commute every day by allowing them to complete some assignments remotely. Cloud-based applications like Office 365 and Skype for Business allow workers to actively contribute to work whether they are at home or traveling. In cases such as inclement weather, instead of having to risk journeying out into dangerous conditions, employees can contribute from the comfort of their homes. Additionally, perhaps the person right for your job is located out of your local area. Cloud solution software presents you with the opportunity to pick the perfect candidate for the job, regardless of locality. Helping eliminate some of the time employees spend commuting can create a work environment that is more productive, and overall more efficient. The majority of cloud based solutions are device agnostic, meaning their functions are compatible whether you’re using a laptop, smartphone, or tablet. This accessibility helps ensure an unparalleled level of fluidity within your business. Sometimes employees cannot access their laptop or desktop, but they can still leverage cloud-based applications like Dropbox to access crucial files on the go. Device agnostic software also allows your team to stay organized with high efficiency. The device agnostic attribute of cloud solutions allows your team to stay in constant communication from any device. Capital expenditures can present a costly challenge to running any business, especially those that are growing. The price of purchasing and maintaining onsite hardware and servers can quickly put a hole in your budget. Local software packages require the purchase of new versions to update. However, transitioning your business to the cloud means less of a reliance on upkeeping hardware and software onsite as all of the management and updates of the software is handled digitally. The operating expenditures for cloud solutions are also more cost effective, allowing you to purchase licenses for each individual employee instead of full software packets for individual computers. It allows your business to scale up and scale down easier since you are only purchasing licenses per employee and won’t need to upgrade infrastructure to accommodate a rapidly growing business. All of these cost effective aspects of mobile infrastructure allow your business for less of a reliance on a physical office space, allowing you to leverage the most of cloud solutions in the field and at home. Are You Ready To Enhance The Mobility of Your Business? Cloud solutions are evolving the way we work, lessening the reliance on wasteful commuting and increasing the overall happiness and efficiency of workers across the world. TecFac has decades of experience in IT solutions, and we have been exploring and applying effective cloud solutions since the technology’s advent. TecFac works collaboratively with your company to outline a cloud solutions roadmap to identify your technology needs, and execute an effective transition to hand-picked cloud software. Contact us today to schedule a consultation and discover how cloud solutions can help your business evolve.